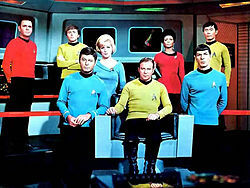 Monday, September 8th was Star Trek ‘ 48th birthday. Since I wasn’t called in to sub, I spent all day watching original series episodes. Love. Thank you , Gene. 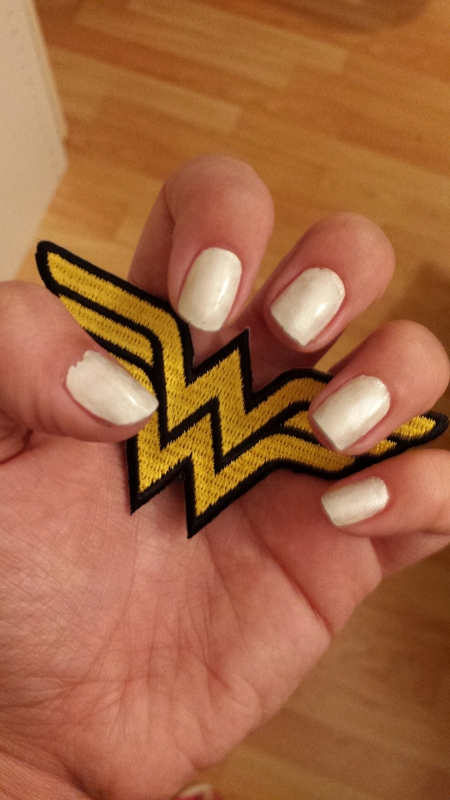 So I went to a sci – fi convention this weekend. 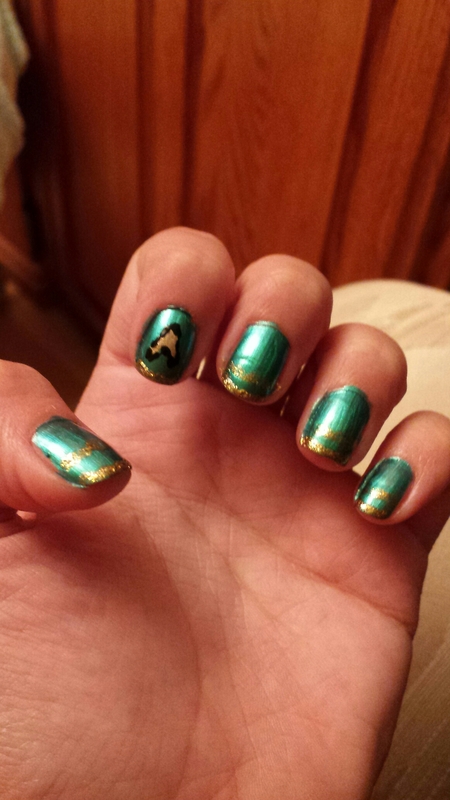 These were my nails for the weekend as they went with both costumes. 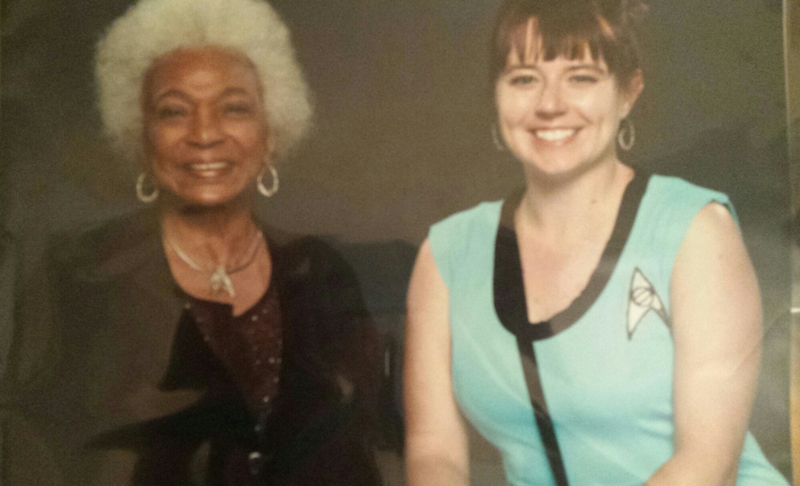 I had an awesome time and got to meet Nichelle Nichols, the actress who originally portrayed Lt. Uhura. So I got to go to a sci-fi convention thus past weekend! My Granma paid my way and she came with me. I had so much fun; I got to meet Sir Patrick Stewart (Picard), Brent Spiner (Data), and several others. 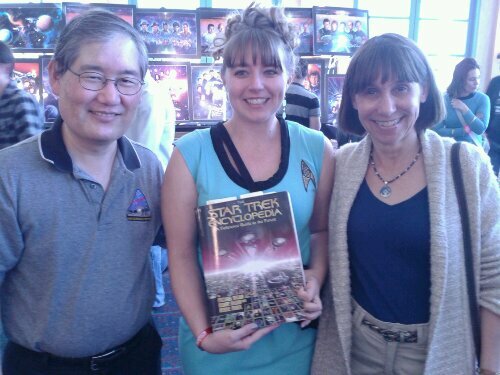 I also got to meet the Okudas, who created the look of Star Trek. 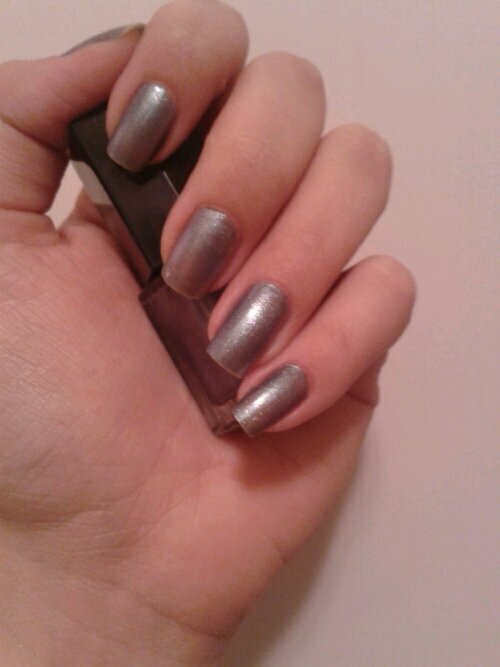 My nails I did in one of my new colors, a holographic one, called Dazzle Diva by E. L. F.
My other three nails represent the three uniform colors on the show, gold, red, and blue. And by the way, only one red-shirt ended up with injuries. 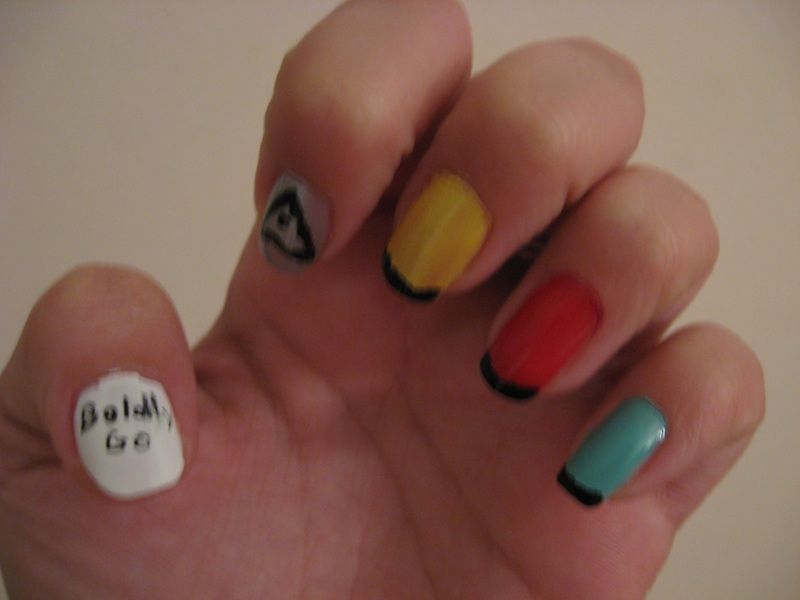 The black tip got smudged when I put on the top coat. But other than that they are both still alive. Fortune favors the bold (Virgil). So Go Boldly! And may the Great Bird of the Galaxy bless your travels!